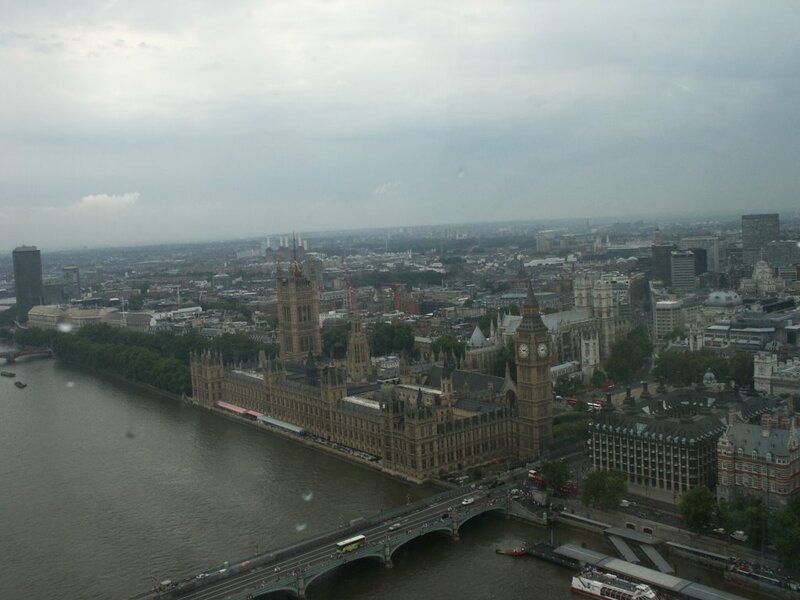 The London Eye is a huge ferris wheel (443 feet high) on the Thames just across from Parliment. I like the shadow on Windows Local Live but Google Maps shows the wheel better. 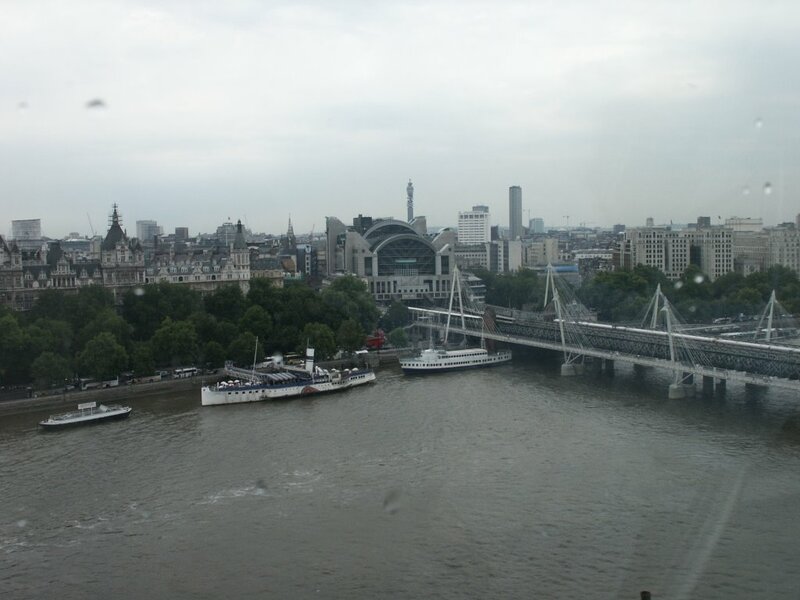 Here's a picture of Charring Cross Station that I took from the Eye. Notice Tower 42 in the distance behind it. Here's Big Ben. Here's the wikipedia page and here's their web site. Here's their webcam.